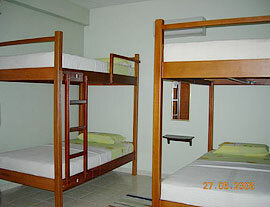 This holiday package includes dormitory style accommodation in a very clean and friendly lodge, centrally located in the city of Kota Kinabalu. Eateries, shops and evening entertainment are all walking distance from the lodge. As is our daily meeting point for our island activities. Package also includes unlimited drinking water, tea and coffee with light breakfast at the pantry area. 5 Night PADI Open Water Course & Accommodation Promotion – enquire for price details! Includes: a dorm bed, return transfers from lodge, return boat transfers to Gaya Island, required PADI Materials (yours to keep), PADI Qualification and Registration Fees, park and jetty fees, equipment (except dive computer) refreshments – free flow water / tea / coffee, freshly cooked lunch. Price stated is valid until 31st December 2015. No single supplement. No peak season surcharge.